Here we will discuss some hardware solution on Nokia Xl RM-1030. Nokia XL Mic ways and jumper, Ringer ways and Charging Ways solutions. Here you will know the track or ways of MIC, Ringer and Charging on the Nokia XL phone, if you are facing any problem regarding this then this topic will help you to find out the solution for Nokia XL hardware problem or PCB track problem. 1) Nokia XL RM-1030 MIC Ways. 2) Nokia XL RM-1030 Ringer Ways. 3) Nokia XL RM-1030 Charging Ways. 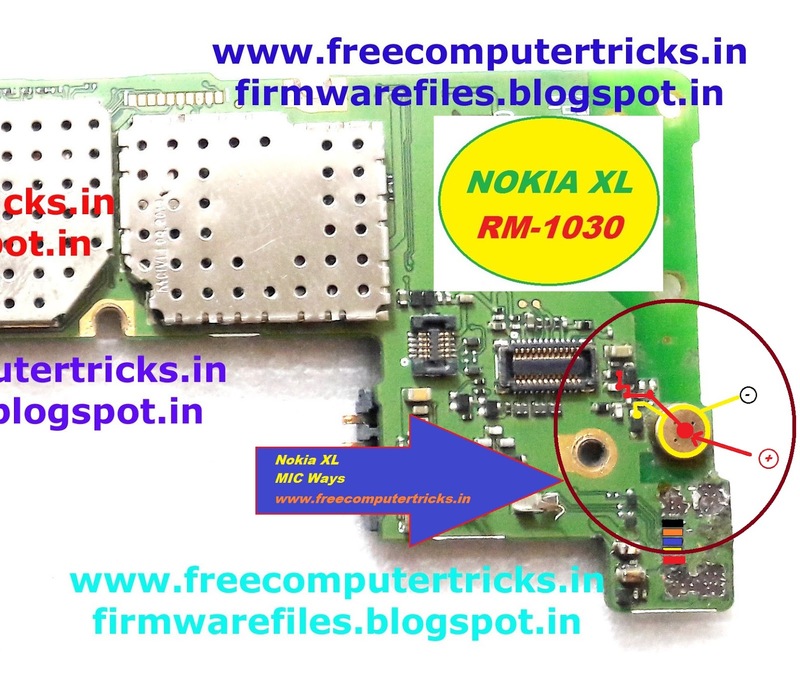 See the below image and apply jumper to solve the MIC problem on the Nokia XL phone. See the below image and get the ringer ways and apply jumper to solve the ringer problem on Nokia XL. See the below image and apply jumper to solve charging problem on your Nokia XL phone. 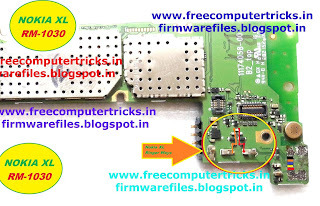 So to solve MIC, Ringer and Charging ways and jumper on your Nokia XL phone please follow the above Nokia XL solution and apply jumper as shown in the image.